Production of the Cadet radio was continued until 1951 when it was superseded by a completely different model known as the 'Colt', a 5-valve set and the first to carry the Bell name. At the time of its release no one could have foreseen how successful it would become or how long it would remain in production. Although most familiar in its plastic-cased form the Colt was also available in a solid oak cabinet. The use of solid timber was an innovation quite out of keeping with contemporary practice where wooden cabinets were invariably constructed of veneered plywood. Although the use of solid timber resulted in the set having a rather 'chunky' appearance it allowed a lower selling price than would otherwise have been the case. With various changes in circuitry along the way, the Colt remained in production for the next 20 years, a quite incredible lifespan for any single model and very likely unsurpassed anywhere in the world. At the time of its introduction the Colt sold for £13-9-6 (roughly two weeks average pay), at which figure it remained for the next 15 years! By 1962 over 160,000 had been sold, but in spite of this record Bell decided to discontinue production in favour of a line of Japanese-designed valve and transistor radios which were made under licence using the name 'General'. In spite of their smart appearance the General valve-operated models were of an outmoded design using AC/DC circuitry and Japanese miniature 7-pin (B7G) valves which proved unreliable in service. By comparison, the Colt was then using the latest European noval based valves and was an extremely reliable set. In view of the impending transistor revolution, which had already started to make its effect felt, it seems surprising that the production of a new line of valve radios should have been contemplated at this late hour; perhaps the Japs had made it part of a package deal. Although Bell pushed the General line hard, somehow it never really caught on and production of both valve and transistor models was soon dropped. Probably because the Colt had been New Zealand's top selling radio at the time (over 6,500 were sold in 1961) another firm was quick to take over their manufacture and in 1962 Tee Vee Radio Ltd produced and marketed 'Tee Rad' Colts. But never again were such sales figures achieved, for by this time the combined effect of the two 'Ts', transistors and television, were playing havoc with the sale of valve radios and within the next two years Tee Vee Radio discontinued manufacture. This was not the end of the Colt, however, for Bell again took up manufacture, continuing production until 1972. Even then the name Colt did not disappear for in March 1973 a transistorised version in the same old cabinet was produced which remained in production until the closure of the Dominion Road plant in 1980. Another product which did much to put the name Bell on the map in the early days was a line of low-priced radiograms. Whilst still at the Queen Street premises the first of these, known as the 'Truetone', was released in 1953 and sold at the incredibly low price of £69-10. It became an instant success and its production caused at least one other manufacturer to emulate Bell's example. The cabinet of the Truetone was of solid oak timber, a type of construction, it will be remembered, which had earlier been used successfully on the Colt. At the time of its introduction the trade was sceptical as to whether the buying public would accept the plain timber cabinet after having been used to walnut veneer, but to a large number of buyers the low price proved irresistible. 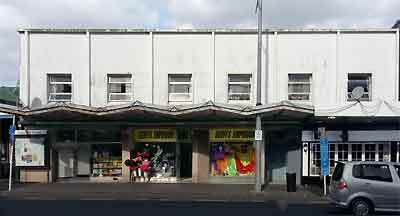 By 1953 production facilities at Queen Street had become quite inadequate and a move was made to larger premises at 247 Dominion Road, Mt Eden, a suburb which already had a history of radio manufacturing, though this was obviously coincidental. Here the production of Colts and radiograms proceeded apace. This was the post-war period of the boom in record playing and with the advent of long-playing records the future looked bright. Such was the demand for radiograms that Bell opened a South Island factory in Christchurch which remained in operation for several years. Although Bell's production figures were soaring at this time, the company's profits were not keeping pace, perhaps not surprising in view of the degree to which price cutting had been carried on. The writer recalls being informed by Al Bell on one occasion that the company made only 1/6 (15 cents) profit on each Colt sold! To Al Bell, more than to any other single person must go the credit, if that is the right word, for hastening the introduction of television in New Zealand; even though he jumped the gun in doing so. In 1957 the Bell Corp. commenced experimental TV transmissions using the British 405-line standard and, rashly, even produced some 405-line receivers until the government of the day decided on the 625-line standard for this country. After being forced to cease transmitting for a period Bell returned to the air in 1960 with 625-line transmissions using the call sign ZL1XQ. At that time regular Sunday night programmes were being broadcast using a home-made transmitter installed at the company's No. 2 factory at 67 Dominion Road, which by a quirk of fate, was the old Wellmade Ltd building. It was from Bell's station that Aucklanders got their first taste of television, for although a few manufacturers had receivers on the market, the NZBS had not yet commenced transmitting regular programmes. Bell's early 'telecasts' undoubtedly did much to accelerate the advent of television in New Zealand and at the same time provided much useful publicity for the company. It was the commencement of a regular television broadcasting service throughout the country with the accompanying large initial demand for receivers which really put Bell on its feet. From a nett loss in 1960 the company's tax-paid profits rose from £13,833 in 1962 to £127,000 in 1963. In the next few years production figures reached record heights, but following the death of Al Bell the company seemed to lose something of its vitality. In April 1973 Bell was reorganised as "An All New Company", according to a sales brochure of the period. This event coincided with the advent of colour television and Bell were obviously hoping to repeat the success they had had with monochrome TV. With the introduction of colour TV Bell were faced with the problem, common to all manufacturers of the period, of having to combine with others or perish. Some companies who had previously made black and white sets individually, now amalgamated with others to produca colour sets. In Bell's case the company combined with the Dominion Radio & Electrical Corp. (DRECO) to form a new firm known as Consolidated Electronic Industries Ltd. For a time production of colour sets was carried out at Dominion Road but after the initial demand for receivers had subsided production was concentrated at Otahuhu and in 1980 the Dominion Road premises were finally vacated, thus ending Bell's 32-year history. The Golden Age of Radio in the Home. How did Bell Radio-Tv Corp come to an end? In 1980 Bell Radio-Tv Corp closed down. Employees were given almost no notice and there were demonstrations in the street calling for a fair deal. By this time the Dominion Road facility was just a service centre while the administration, manufacturing and warehouse had moved to a plant at Otahuhu. Prior to that Al Bell had been fired as chairman of the company by two entrepreneurs, Fred Green and Tony Hall, (from Palmerston North?) who had acquired the majority of the shares since the company went public in 1957. Green and Hall Ltd., started in Wellington manufacturing radios, Tvs and pressing records. 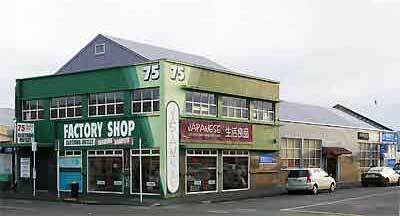 They moved to Porirua and traded as HMV Electronics Ltd, having sold the record pressing plant. From there G&H moved to Masterton at a time when the radio industry was in limbo. 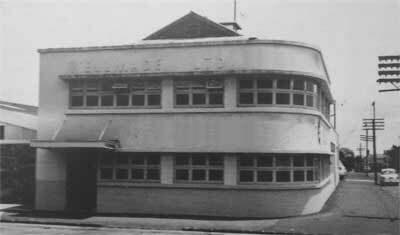 With the amalgamation of the industry Colt radio manufacturing was relocated to Masterton. Tony Hall was running DRECO while Fred Hall was the MD / Chairman of Bell Radio-Tv Corp. The premises in Dominion Road were sold. What led up to this sad end? I am gathering information to fill in this part of the Bell journey so if you have something to contribute, please send me an email. Original No.2 factory and Tv transmission site at 67 Dominion Road. Now cut back and renumbered 75. Factory sites at 247 Dominion Road today.